Euro International School, Sector 37 D is a Private Co-Educational School located in the Sector 37D neighbourhood of Gurgaon. You can view the exact location or driving directions of the school on the map and school pointer on it. The school was founded in 2007 and currently offers Playgroup, Pre-Nursery, Nursery, Kindergarden, Primary School, Middle School and High School. It is affiliated to CBSE (530877). School is where children learn to develop communication and social skills. We ensure that each child is provided adequate stimulation for his cognitive, emotional and social development. Euro International School, Sec-37D is a school having excellent building with all the modern facilities in the premises of BPTP Towers. It has big spacious classrooms and all the labs like Chemistry, Physics, Biology and Computer which are equipped with all the latest technologies. It has a larger indoor sports room. 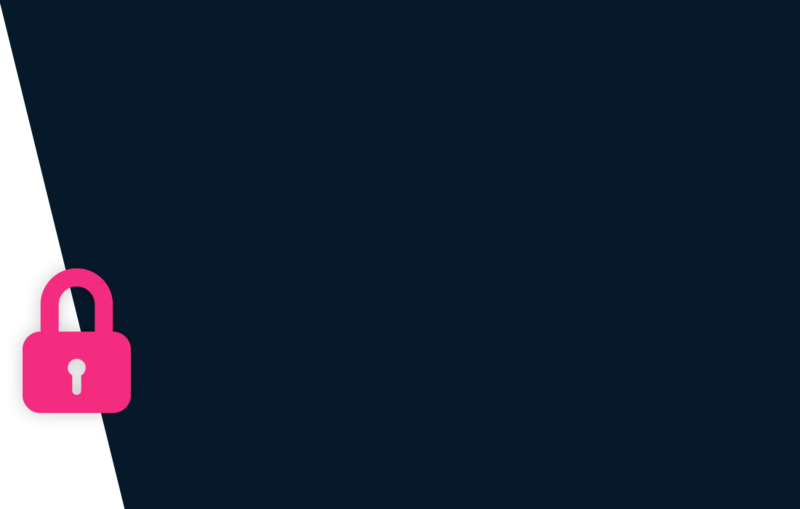 It is also comprised of a library having a modern collection of books of all fields. Here, the students are nurtured in a disciplined environment where they can perfectly groom for their future building. The child needs to be minimum 3 Years as on 31 March 2019 to be eligible for Nursery admission. School Admission applications can be made Offline at the school and Online on the school website. Originals and copies of the following documents are typically required for processing application of admission: Birth Certificate, Immunization History, Residence Proof, Last Year’s Report Card and 1 Passport size photograph. New academic session for the school starts from March. You can find further details below for reference on admission eligibility and application for Nursery and Higher Grades in the section below, but we strongly recommend that you check the school website for most accurate and up-to-date information. There shall be written test followed by an interview for admission to any class except for the nursery class. Selection will be strictly on merit, subject to the availability of seats in each class. 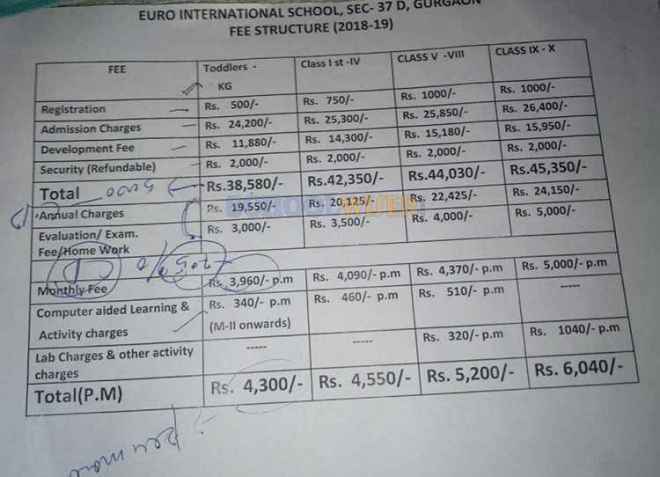 A detailed fee structure & complete breakup for Euro International School, Sector 37 D is provided below for reference. The objective of the fees details below is to provide an economic reference point for parents to understand approximate expense for this school and evaluate affordability based on their current circumstances and for the long term. For parents admitting their children in admission session 2018-2019 at The school the total school fees for the first year including all admission related charges for Nursery but excluding transport fees shall be around Rs.1,12,730. This includes total One-Time Admission related Charges including Refundable Security of Rs.38,580. For parents continuing in the school from previous years, the effective annual fees is around Rs.74,150 i.e. approx. Rs.6,179 per month or Rs.18,537 per quarter without transport fees.